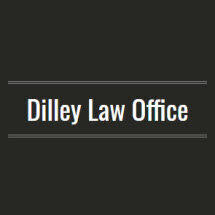 With more than 25 years of legal experience, attorney Dilley has the skills and resources necessary to handle your case regardless of the complexities or challenges involved. Delivering personalized attention to your case and focusing on your specific needs and goals, he works hard to achieve the results you expect and deserve. As a lieutenant colonel in the U.S. Army Reserve Judge Advocate General Corps, Mr. Dilley appreciates the issues that affect military personnel and their families, and he has extensive experience defending both active and retired service members against court-martial, discharges and other legal matters. Regardless of your status or standing in the community, and no matter the legal challenge you face, you can trust the Law Office of David E. Dilley to advocate strongly on your behalf and help you protect your future. For more information about how we can best serve you, you can contact our law firm to schedule a free initial consultation.